French Doctor, He performs Rheumatology Services in The French Clinic. He is fluent in French, English and conversational Moroccan Arabic. Dr Gabriel MASSON is a Rheumatologist certified by the French Board (Ordre des Médecins). Graduate from the Poitiers University of Medicine. 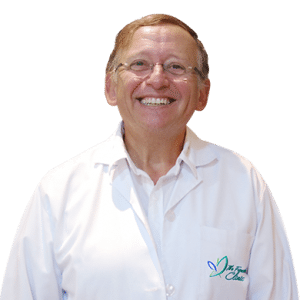 27 years experience in his own practice in France. 7 years experience in the University Hospitals in France and in King Fahad Hospital in Saudi Arabia.